A Proper Treatment For Lech Walesa, Anyone? The Jasna Góra Monastery holds in almost equal proportion ancient treasures and treasured modern-era items. Its collection ranges from religious relics to pieces that tell Poland’s more recent history. Chief among the priceless items is the iconic Black Madonna of Częstochowa. To be sure, that Virgin Mary holding the baby Jesus is the monastery’s top draw by far. After visitors have bowed and spent the proper amount of time on bent knees in reverence to her, they largely spend the rest of their time at the 631-year-old monastery exploring its riches housed throughout the grounds and in several wings. Once I was done trying to catch a glimpse of the Madonna, I headed over to the armory, which displays a variety of medieval weapons and suits of armor, in addition to more items that detail key events in Poland‘s recent history. As I looked at items enclosed in glass displays, I was very surprised to come across one particular item – Lech Walesa‘s 1983 Nobel Peace Prize. How could this be? Was it the real thing? At first there was some doubt because in my mind there was no way Walesa’s Nobel Peace Price be given such short shrift, such a careless treatment. The gold medal and accompanying certificate were in a glass case, and thank goodness for that, but displayed haphazardly, squeezed into a nondescript corner with a few other seemingly unrelated items. It was as if the award was meaningless; given less prominence than it deserved. I’ve seen high school trophies given better treatment than Walesa’s Nobel Peace Price. So what is going on here? Is this how you treat the world’s grandest Peace Price earned by a native son and leader of the movement that toppled a repressive government and led to the collapse of other Communist governments across Central and Eastern Europe, like falling dominoes? After shipyard workers in Gdansk challenged Poland’s Communist government and in essence the entire Soviet Bloc, the Berlin Wall fell and East Germany ceased to exist. But months before, Poland had been freed of tyranny, though most people erroneously point to Berlin as the beginning of the end of the Soviet Bloc and the Warsaw Pact. Walesa’s Nobel Peace Price is something I would expect to see prominently displayed in a proper museum, alongside other items of the Solidarity movement. 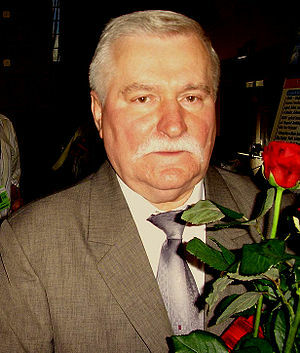 Instead, a visitor is surprised to find the actual Nobel Peace Price in the monastery, which Walesa – who is said to deeply value his Catholic upbringing – donated to the church. But do people around the world – for that matter, people in Poland – even know that the award is in the monastery? Perhaps the Catholic Church shouldn’t be in the museum business, if that’s not the case. And maybe I’m making too much of this. Or maybe the church is making too little of it. Or maybe the church simply needs a proper curator. I say, let’s give Walesa’s place in history its proper due and put that Nobel Peace Price somewhere center stage, handled in a proper exhibit, in a museum that is fitting of his achievement. How about it? Anyone?